Idle rollers for heavy pallet conveyors in internal, external, normal, dusty and humid environments. These are quality precision rollers. The permanently lubricated radial rigid ball bearings are of the 6204-6205-6206-6308 series, of the best brands. The bearing protections are guaranteed by a multiple centrifugal labyrinth with cover cap combined with external cap (contact-less), while an internal seal retains a big quantity of grease. All parts are made of anticorrosive thermoplastic materials. The ground steel shaft is internally threaded for screw fixing or have a slot execution. 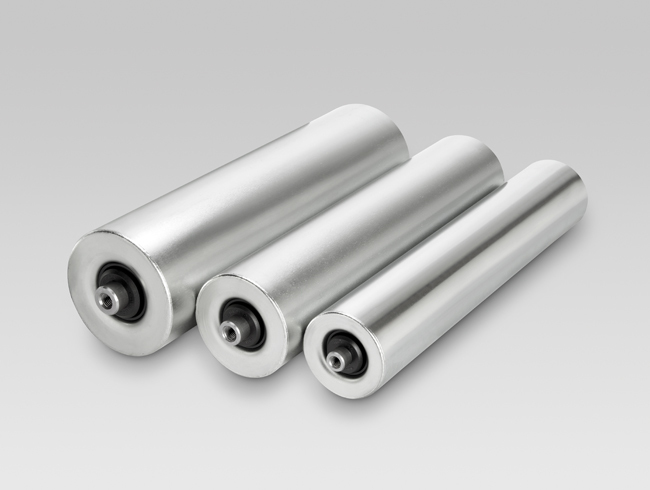 The application temperatures range from -20° C to + 100° C.
This series features high strength, perfect balancing and concentricity, minimum starting resistance, precision and suitability.